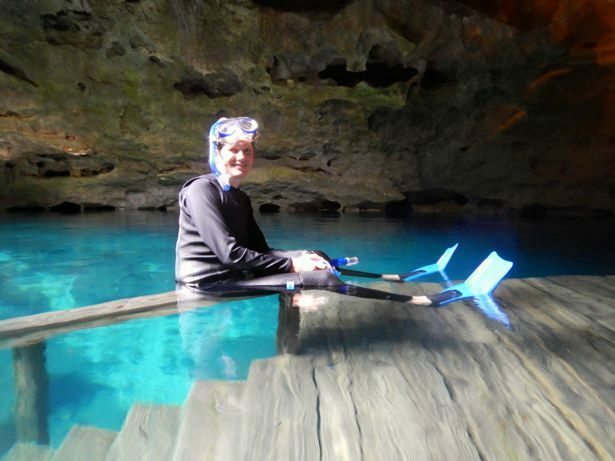 Devil’s Den, one of North America’s most prehistoric places, is an underground spring inside a dry cave in Central Florida. 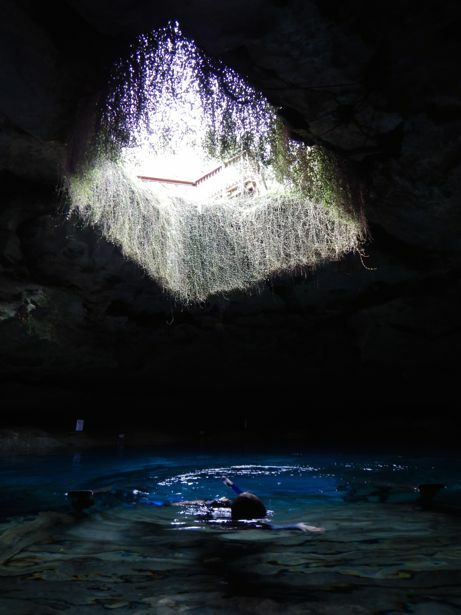 The remains of many extinct animals from the Pleistocene Age (2 million – 10,000 years ago) were discovered at Devil’s Den, including the bones of early man, dating back to 7,500 B.C.. With year round 72f water, it is a fun place to scuba dive and snorkel anytime. Once you pay and enter the actual park, there are picnic tables and shelters to use to store your stuff. 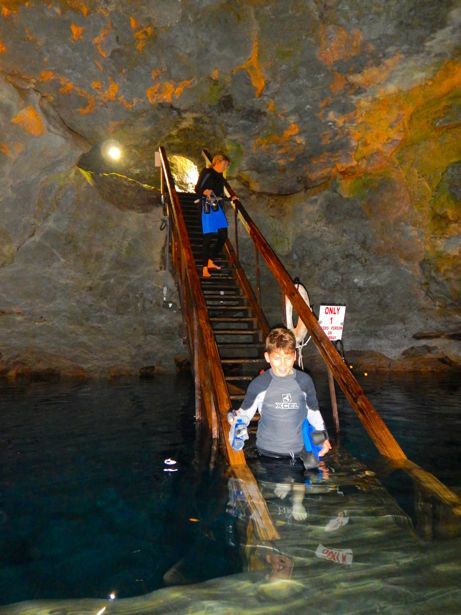 Once you and your gear are organized, you head through the entrance and down a single set of stairs under ground. 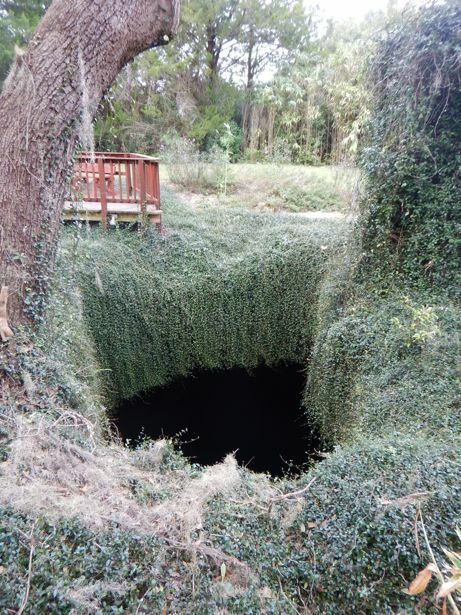 The cavern or sinkhole is about 20 feet under ground. There is a fairly wide opening that lets in sunlight, which helps you see things more clearly. 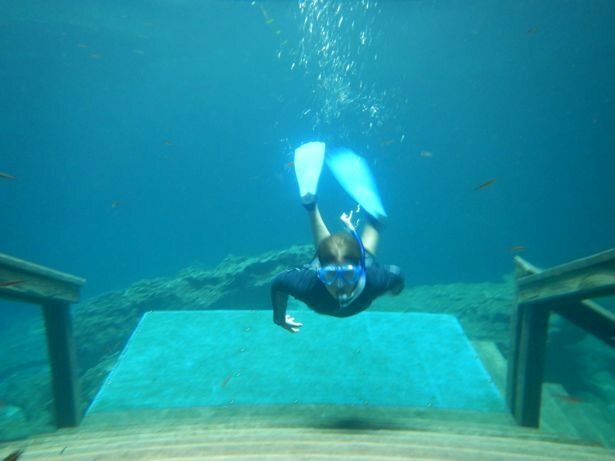 At the bottom of the stairs is a multi-level platform that you can stand on to get flippers on and then enter and exit the water. 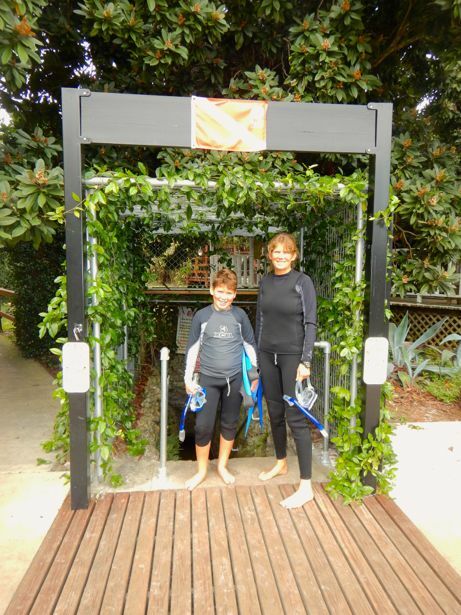 This place is heavily used for Scuba lessons so there are many features, like varying heights of decks, that align with the different skills and instructional needs of Scuba instruction. 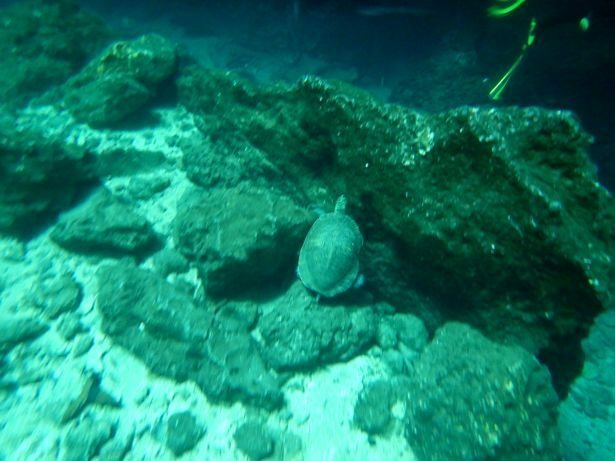 We had fun snorkelling around and checking out some turtles and various fish. 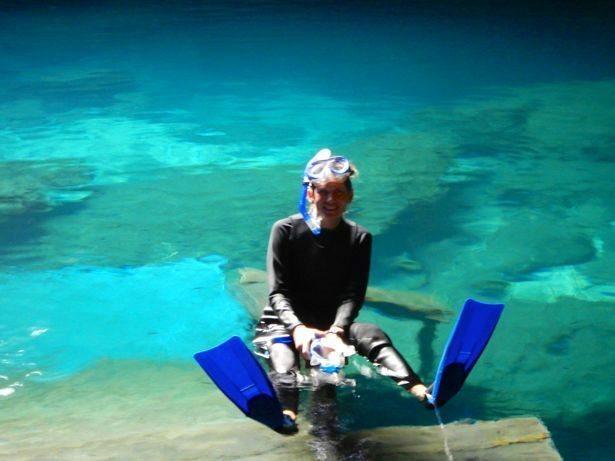 It also gave Hunter a chance to practice diving down and being comfortable under the water. More than anything it left us thinking about another dive/snorkel trip to a tropical place with colourful reefs – one more thing to add to the planning list! 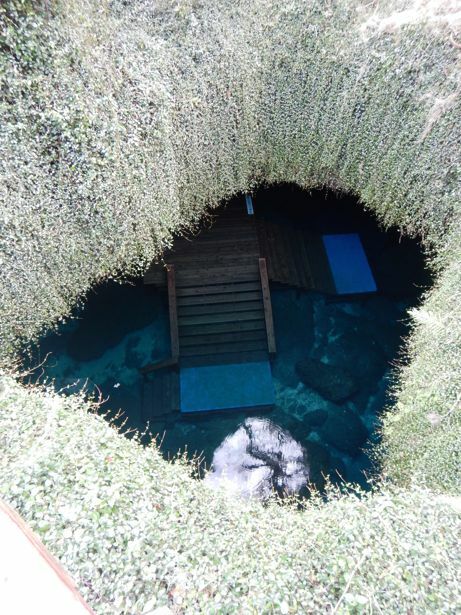 The Devil’s den has camping on site for both RV’s and tents. The RV sites have electricity, water and sewer and there are shower facilities up near the main site that can be used. 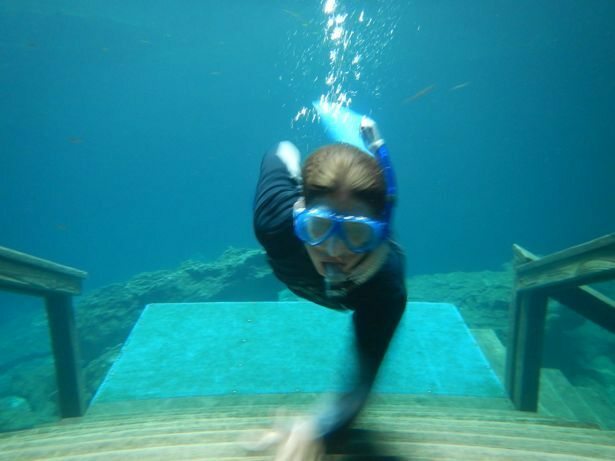 There is also a swimming pool that seems to be focused on scuba training but could also be used to just play. 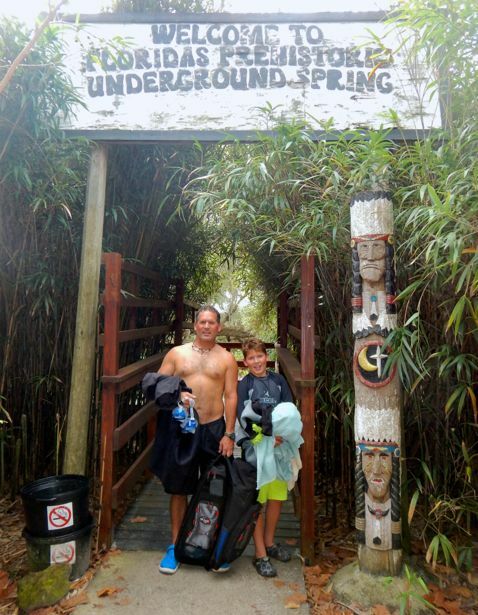 It was a fun overnight stop for us and it seems that dive enthusiasts come and use this for a base for multi-week dive vacations that explore the various springs in the area.